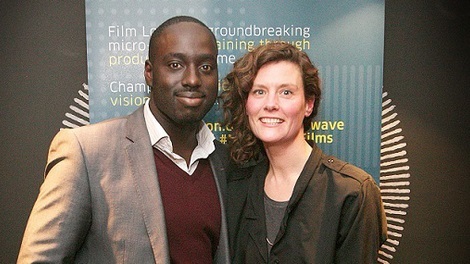 BAFTA nominated writer-director Faye Gilbert has begun production on her debut feature Zero (previously titled Kill Her Witch) with Screen International Star of Tomorrow, Yaw Basoah, producing through his company, Dark Pictures Limited, one of the BFI Vision Award 2016-18 recipients. Zero, an emotionally driven chase thriller set in a dystopian world, is the first in an exciting six-strong slate commissioned through first-time feature fund, Microwave, that offers development and mentoring support to filmmakers, as well as production finance and distribution support to the final commissioned films. The scheme aims to support bold and exciting films, and the other upcoming titles are The Visitor, Sick(er), Looted, Mari and Violets Are Blue. Inspired by the plight of women, Zero was written as a response to many national and international stories highlighting injustices against women. Gilbert wanted to write something as a response to what she was hearing and seeing in the news. Set in a dystopian future, Zero follows two sisters running for their lives across a hostile landscape in order to find freedom from a threat that will stop at nothing to hunt them down. The film examines the important issues affecting the desolate world and, in doing, explores family, friendship and our capacity for compassion. Zero stars BAFTA Scholar Lauren Grace in her feature debut role alongside an exciting young cast that includes Anya McKenna-Bruce (Sense8), Oliver Woolford (Utopia), Kieron Bimpson (Vera) and newcomers Archie Renaux, Jamie Irvine and Marcus Coombes. Gilbert has previously made a number of shorts including The Line, Leaving Eva, Hard Little Man and Perdie (BAFTA nominated in 2000). She also directed an episode of Coming Up for Channel 4. Zero sees Gilbert and Basoah continue their working partnership, as, after meeting on the BFI Guiding Lights scheme they made short film The Line, and have been working together ever since.